Have you really met this new set of obligations? A new uniform Work Health and Safety regime has been adopted in Queensland, New South Wales, the ACT, the Northern Territory and the Commonwealth since 1 January 2012. The new laws comprise the model Work Health and Safety Act 2011 (model Act), the model Work Health and Safety Regulations 2011 (model Regulations), model Codes of Practice, as well as a National Compliance and Enforcement Policy. The safety obligations under this regime, which we explain below, bind not only company directors, but also “officers” of companies, partnerships and government departments. 2. What does “due diligence” mean in the real world? All “officers” of companies, partnerships and government departments are obliged, under the new regime, to exercise due diligence in order that the organisation that they head or significantly affect complies with the safety duties that are imposed by the new regime. “Officers” cannot delegate this duty to anybody else. Moreover, an “officer” can be found to be in breach of that duty even if their organisation has not breached its safety obligations under this new regime. This means that, if the organisation has been lucky enough to avoid a safety incident, its “officers” could still be in breach of their due diligence duty if they do not have appropriate safety systems in place, etc. Practically, this means that even though you may specifically employ someone or task someone with a role, something like “safety officer” or similar, you still have to check to see that systems are in place to meet the potential safety risks in the workplace. 3. How do I meet these standards? Acquiring and maintaining up to date knowledge of Work Health and Safety matters, both in terms of familiarisation with the current law and also in terms of acquiring internal organisation reports regarding safety performance and any issues of concern. Familiarisation with the nature of the organisation’s operations and the hazards and risks associated with these. Provision of appropriate resources and processes to enable the identification of hazards and their elimination from the organisation. At a minimum, this requires recruiting appropriate staff members with relevant safety expertise as well as training personnel to ensure that safety is taken into account in decision-making processes. 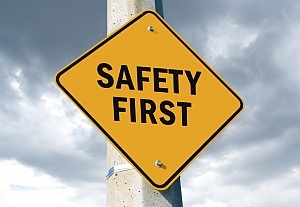 Reporting and analyzing safety performance so the organisation can promptly respond to hazards. Ensuring that the organisation implements processes for complying with its safety obligations. This includes not only reporting hazards, but also consulting with personnel, ensuring compliance with notices issued under the new legislation, and ensuring the training of personnel with regard to Work Health and Safety issues. Conduct of safety audits and officers’ personal verification that the organisation’s systems ensure compliance with safety obligations. Overall, the due diligence duty on “officers” requires personal vigilance to ensure that their organisation complies with its safety obligations. 4. What if I am too busy or don’t get around to it? The officer without reasonable excuse and with recklessness exposing an individual to a risk of death or serious injury or illness – $600,000 fine or 5 years imprisonment or both. Failure by an officer (without recklessness) exposing an individual to a risk of death or serious injury or illness – $300,000 fine. Officer’s failure to exercise due diligence, but there is no exposure of an individual to a risk of death or serious injury or illness – $100,000 fine. 5. Is there some way to limit my personal exposure? Although “officers” cannot delegate their due diligence duty to any other person, they should, ensure that appropriate clauses are included in their Employment Contracts to provide for support with the payment of legal advice and costs so they can understand their legal position and respond to any enquiries made by the authorities. It is also appropriate for organisations and “officers” to ensure that insurance policies maintained by the company provide this style of cover to “officers”. If you have any further questions, please contact Adam Robinson of our office on (07) 3123 5700.